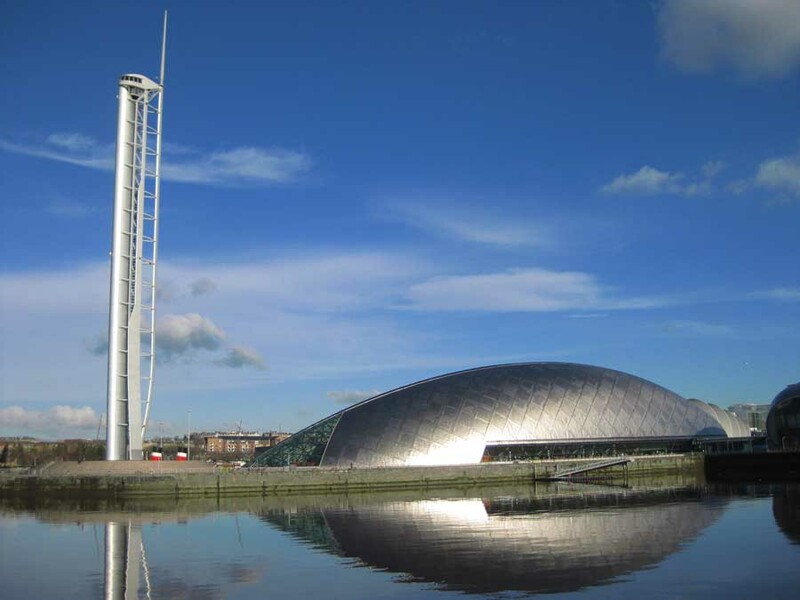 Scotland’s tallest free-standing building will be fully operational and open to visitors once again next summer. This is good news as so many people on our tours ask about it and by extension surely huge numbers of visitors to the city are puzzled by it. Perhaps it was a step too far, a fanciful gimmick. 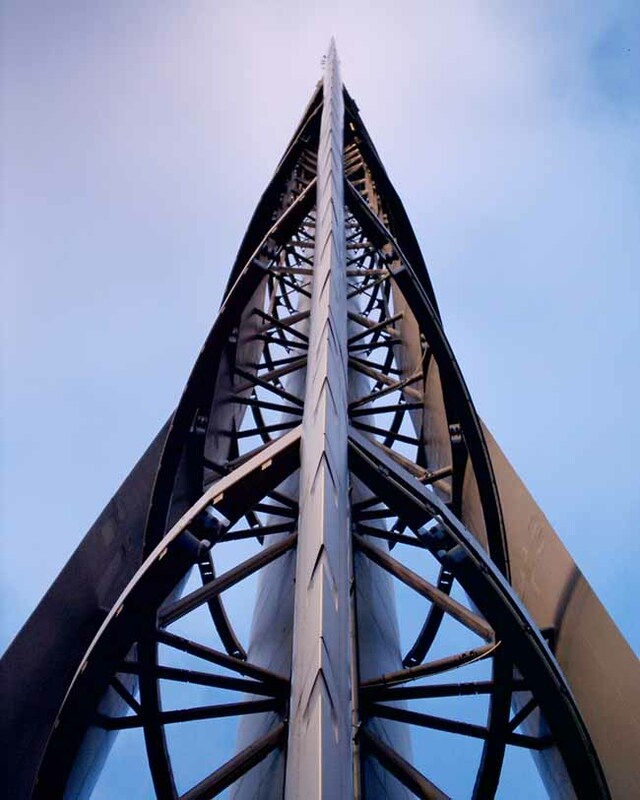 The blurb at the time said 30% less steel was used for the tower due to it being able to rotate thus allowing less drag from the prevailing wind. But how does that make sense, it was surely (also) designed to stand up when not rotating ie engineers always cover themselves, so how did it save steel? If the claim was true then surely it would have blown over in a severe storm. 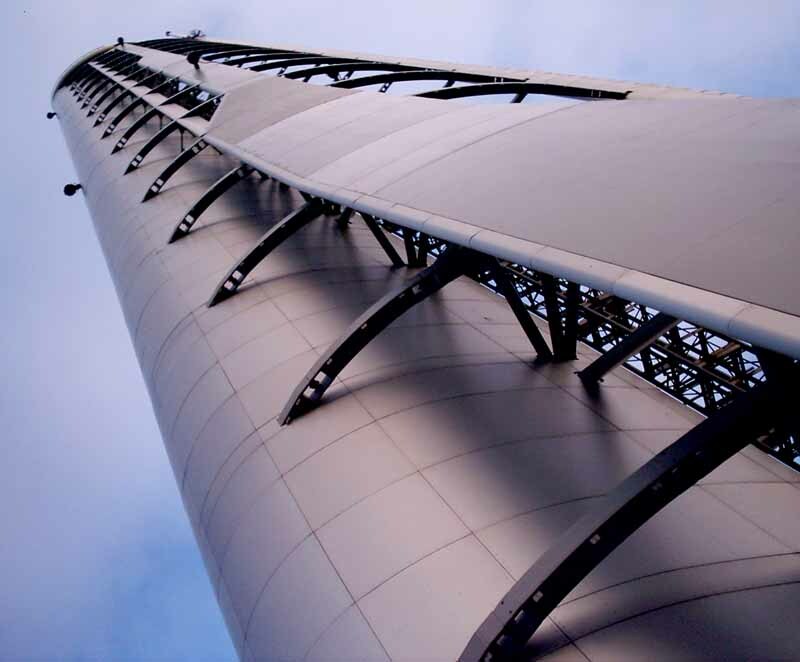 Glasgow Tower, which has been closed for the past two years, has undergone a £1.8 million renovation meaning it will be able to turn 360 degrees, giving people a panoramic view of the city. 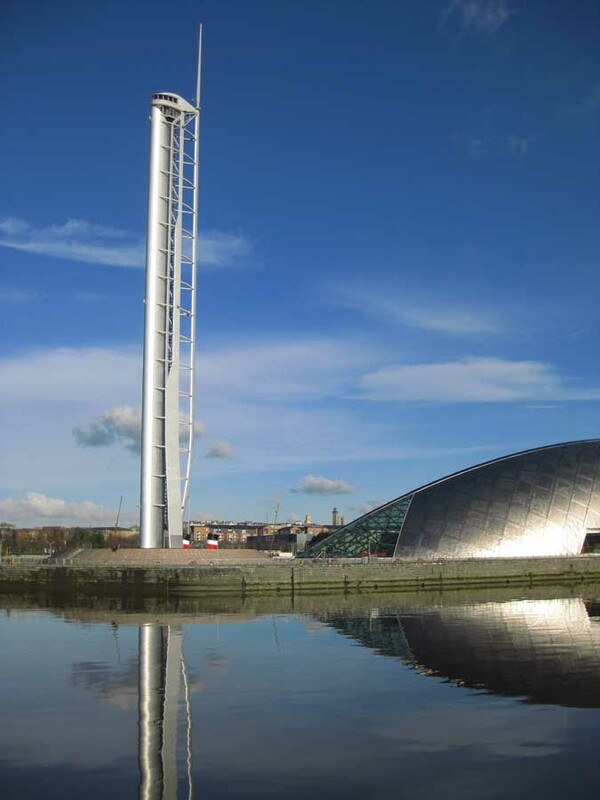 The £9 million, 417ft-tall tower has operated only intermittently since the Science Centre opened in 2001. 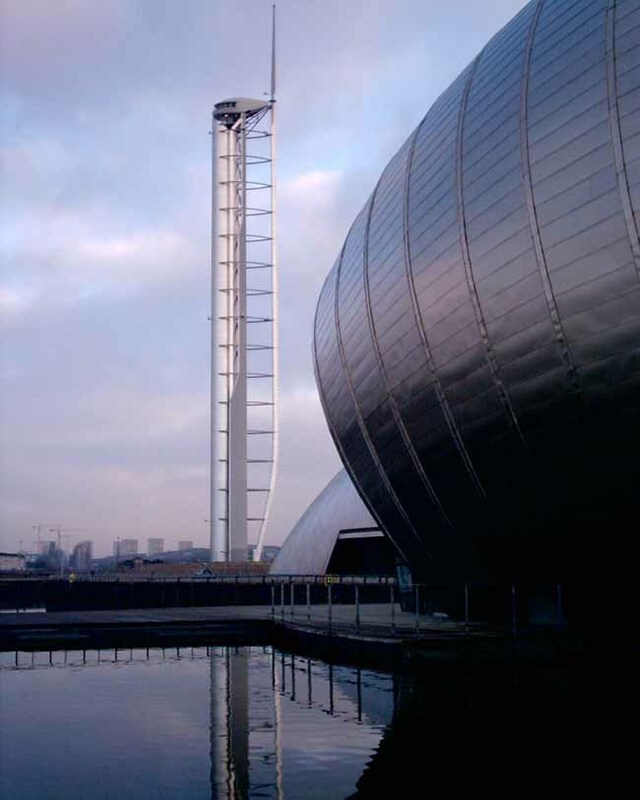 But the Glasgow Tower will be reopened and fully operational next summer, bosses at Glasgow Science Centre have insisted. 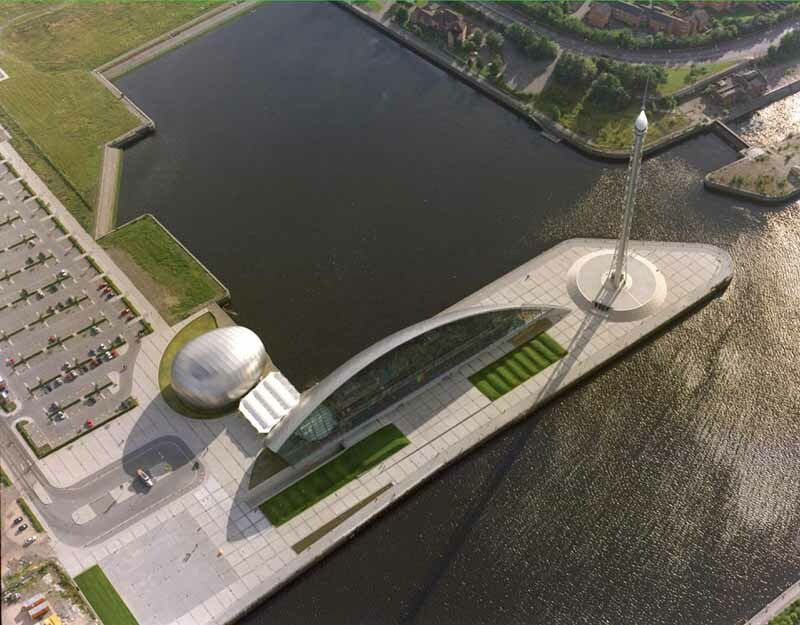 Though no precise date has been specified, the tower could be open in time for the 2014 Commonwealth Games, which will run between July 23 and August 3. Richard Horden is an English architect and yachtsman. Horden became well-known in the Eighties for light simple buildings that used yacht technology and yacht iconology. His modern rectilinear buildings were part of the Hi-Tech style that swept England, key architects being Richard Rogers, Norman Foster and Chris Wilkinson. 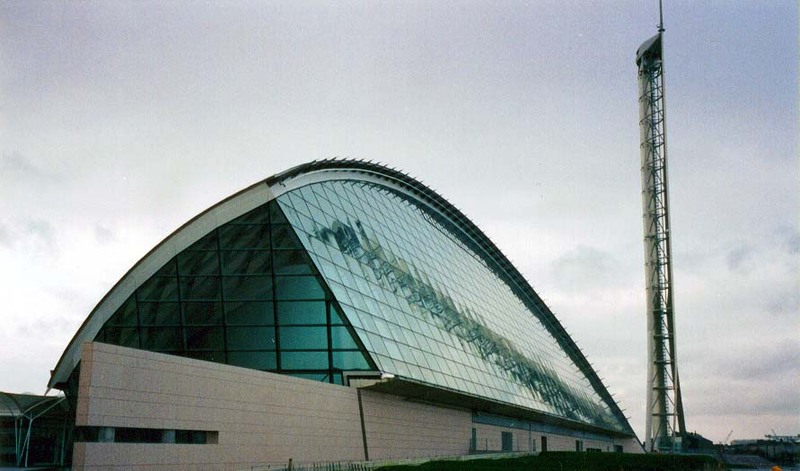 Richard Horden Architects tried to transfer the elegance of sailing and the beauty and technology of the modern aircraft into architecture, in a way reminiscent of architect Le Corbusier’s extolling of the modern technology of cars and planes. However, unlike Le Corbusier, Richard Horden aimed for light prefabricated buildings. 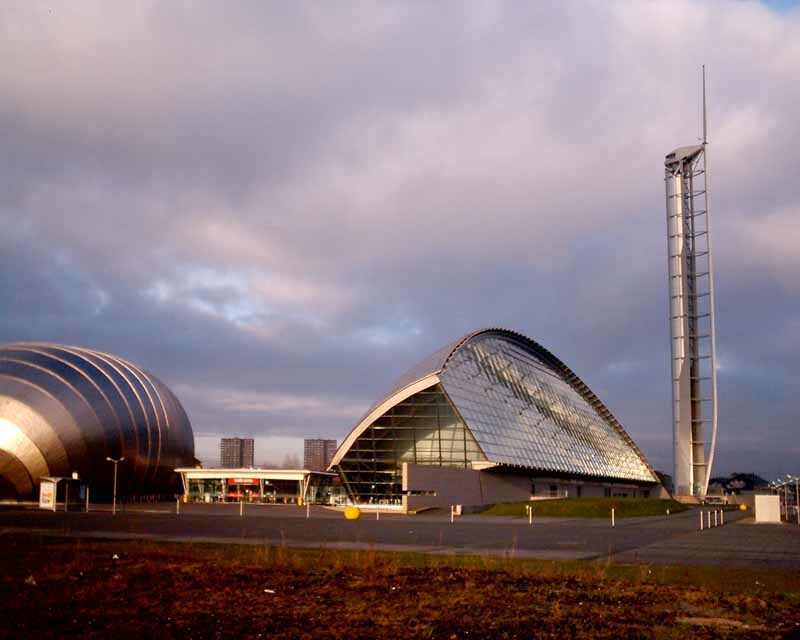 Richard Horden Architects were awarded first prize for their ‘Wing Tower’ but controversially the project was essentially taken over by BDP Architects, Glasgow. 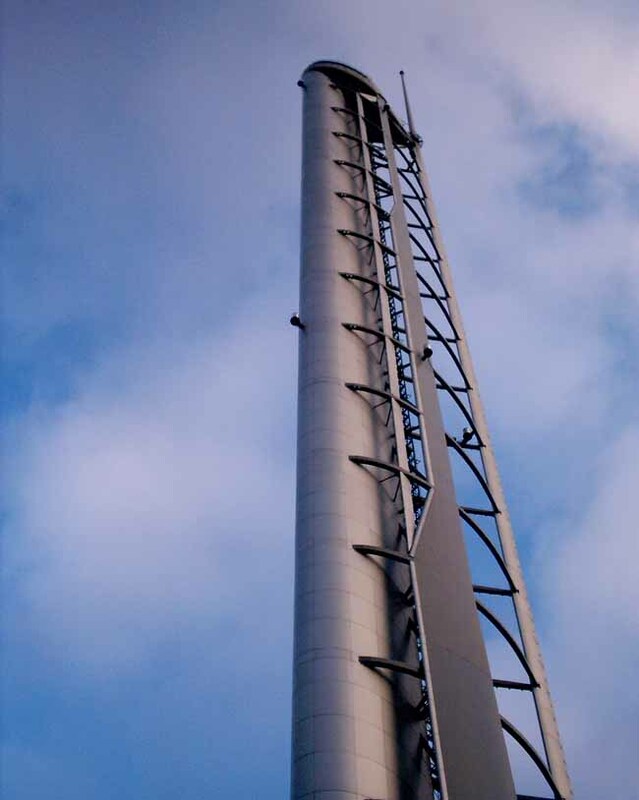 The Glasgow Tower brief required a 100 metre high tower. 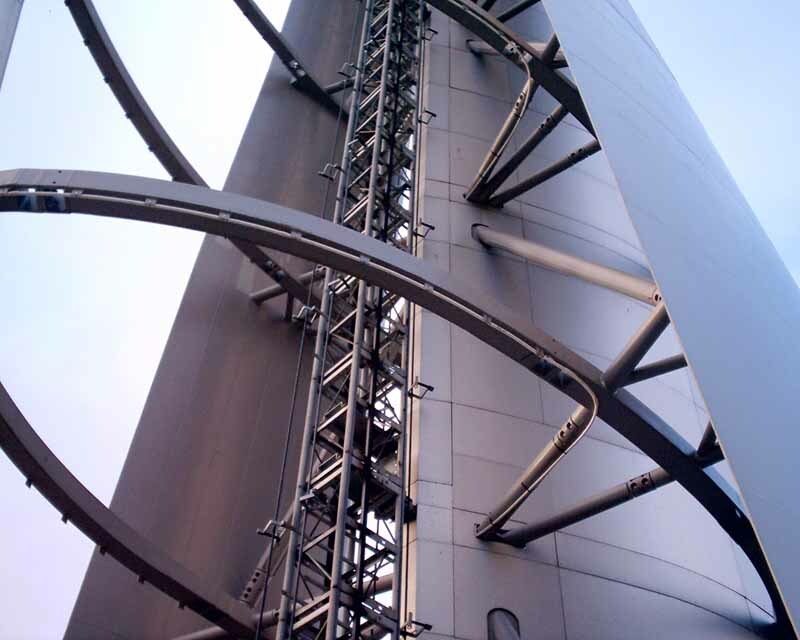 The Tower was to include a viewing platform, restaurant and exhibition space. 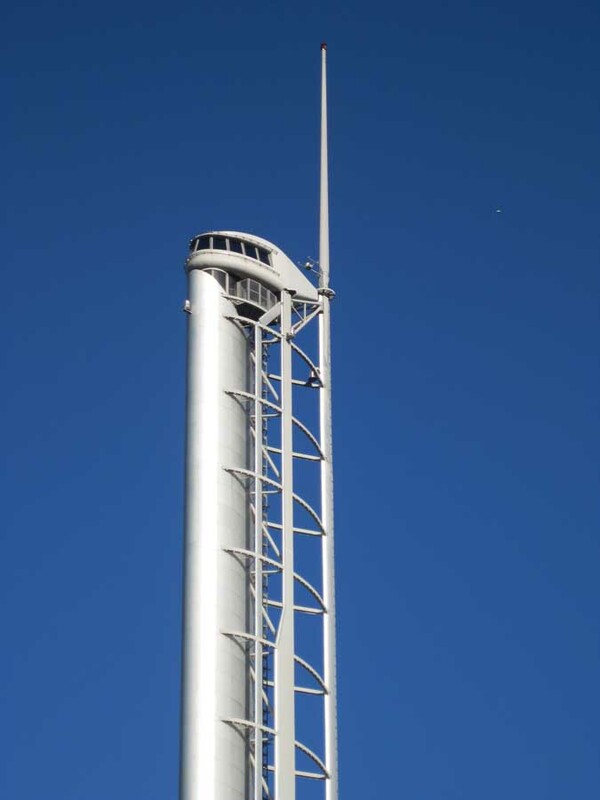 Richard Horden worked with aeronautical engineer Peter Heppel, to design a vertical wing that rotated with the wind direction. Being visible for miles around, it allows Glaswegians to tell which way the wind is blowing! 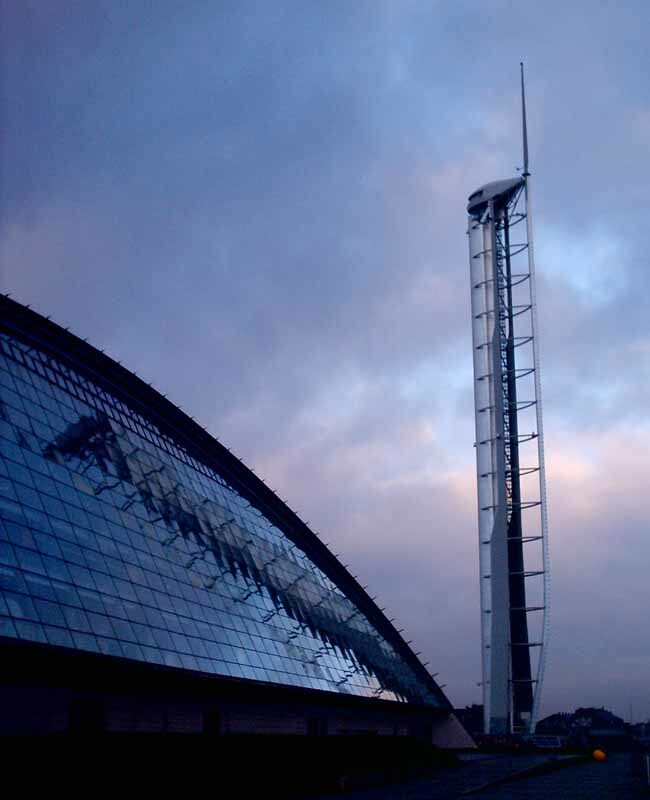 The Glasgow Tower was the first of its kind to rotate to reduce the aerodynamic forces on the structure. “a pre-millennium wheel vertical ferris wheel (paternoster) made it to the shortlisted 12 of 350 open pan European entries”. Edinburgh’s Leith Docks are set to become a mini-Manhattan, complete with Scotland’s two tallest buildings and a Guggenheim museum. Forth Ports has revealed plans to build two 35-storey towers as part of the regeneration of Leith port’s Edinburgh Harbour. The company is also in discussions with the Solomon R Guggenheim Foundation about building a museum at the port. 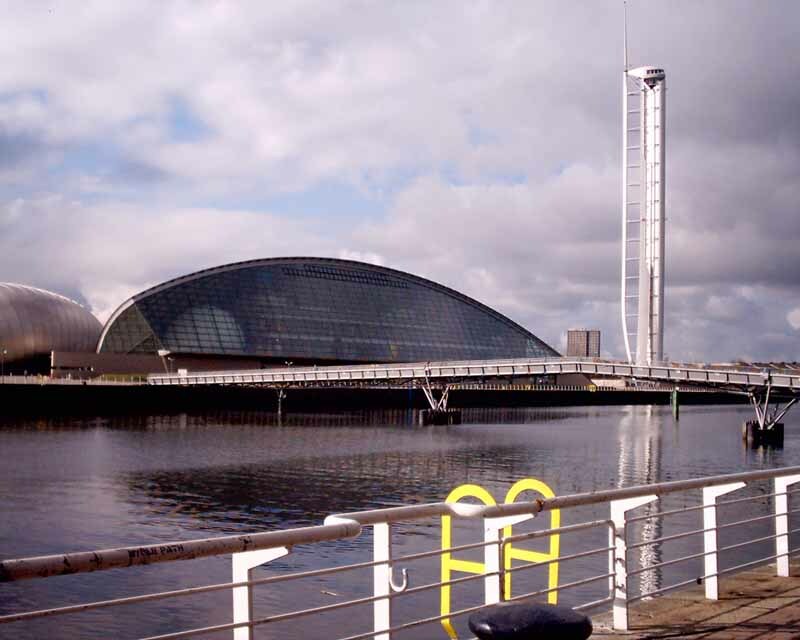 The two towers would stretch 420 feet into the air, making them three feet taller than the Millennium Tower at Glasgow Science Centre – currently Scotland’s tallest structure. They will dwarf Scotland’s previous tallest buildings, the 31-storey flats in Bluevale Street and Whitevale Street in Glasgow’s Gallowgate, which are both 298 ft tall. 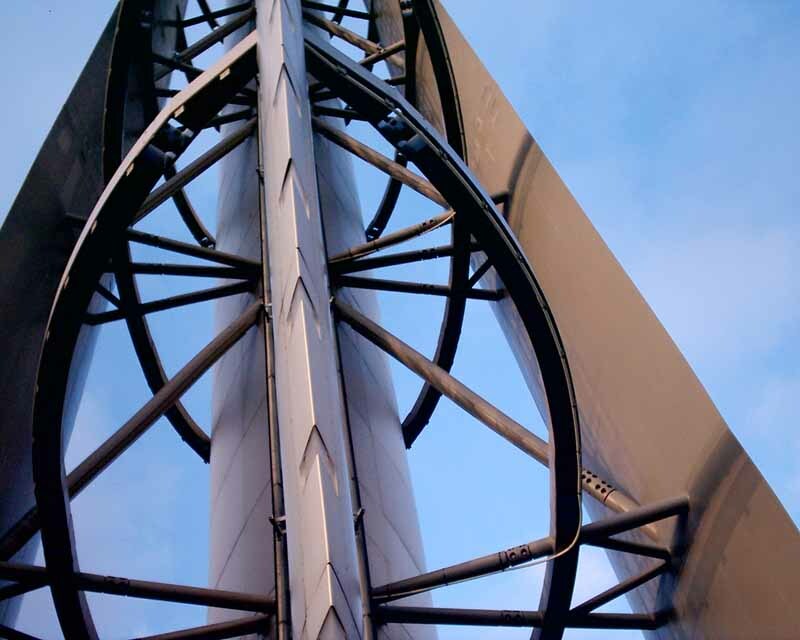 The revolving Glasgow Tower – which cost £10m and is Scotland’s tallest free-standing structure – could soon be reopened with the huge ball bearing due to be fitted this week. 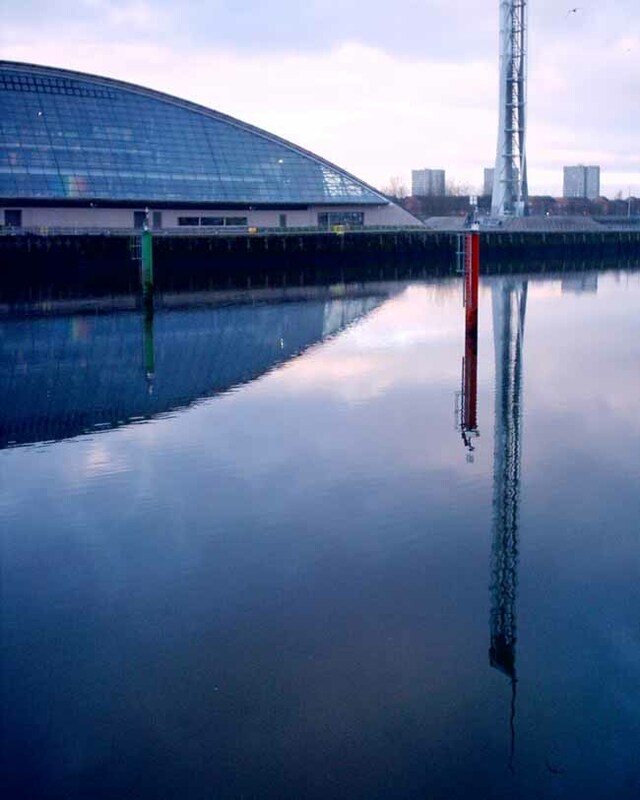 The Glasgow Science Centre tower at has been in operation for less than 100 days since opening in late 2001. 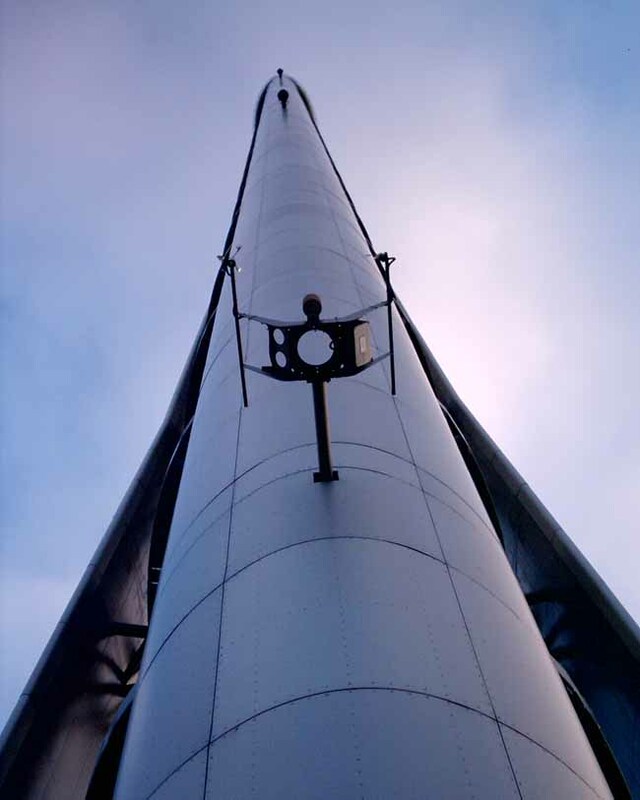 Repairs to the Glasgow Tower delayed for months by a row over faults, keeping it closed since Feb 2002. 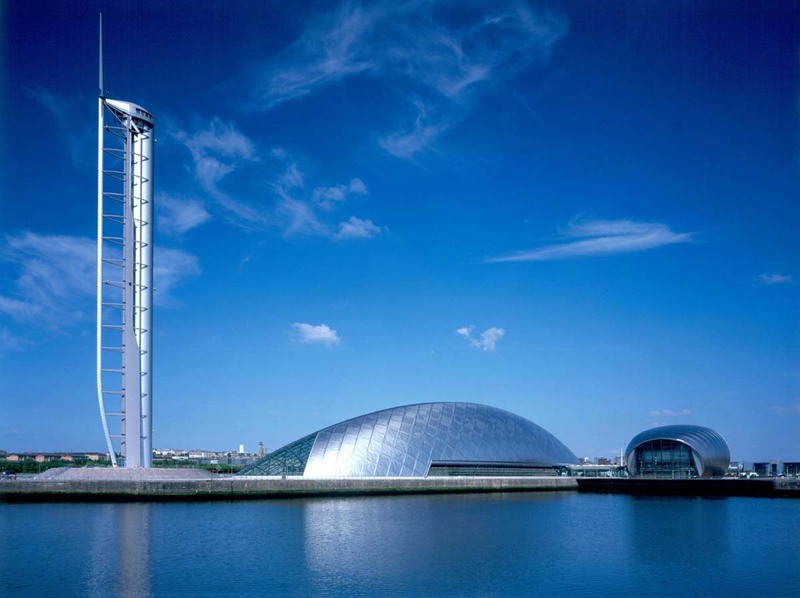 Glasgow Tower is the only building in the world capable of turning 360 degrees from the ground up. 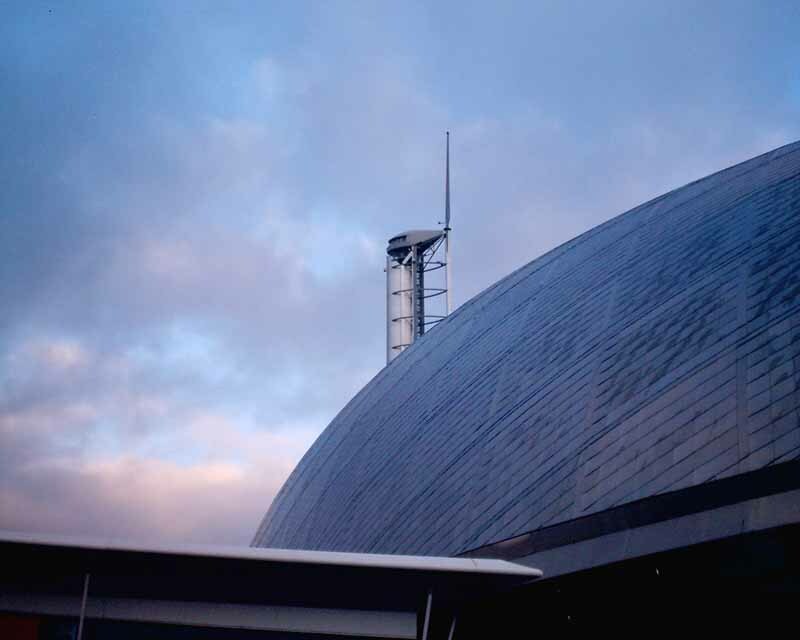 The aerodynamic structure allows the entire building to turn and face the wind, thus reducing wind resistance.There is a two and a half minute ride to the top but it has been plagued with problems so call before you visit.